The stunning new Mk8 Ford Fiesta ST has arrived at Cobra Sport HQ in Sheffield for exhaust development. The Mk8 Fiesta ST is fitted with a brand new 1.5-litre three-cylinder turbocharged EcoBoost engine putting out 197bhp capable of a quick 0-62 time of 6.5 seconds. The new Cobra Sport exhaust systems will initially be available in GPF back format with full turbo back options being prepared ready for dyno testing once tuning software becomes available at our tuning partners in the coming weeks. 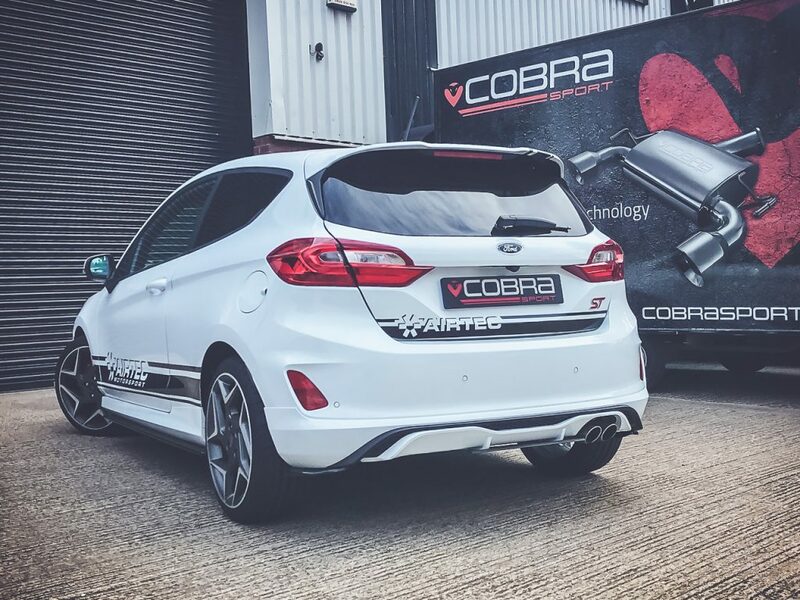 In order to keep the use of the drive select modes, the Cobra Sport exhaust range will be available with the inclusion of the active valve to help regulate exhaust tone at low speeds and keep the tone differences between drive modes. As with all Cobra exhaust developments, power increases, sound improvements and manufacturing quality are top of the priority list during development. Superior TIG welding techniques during the manufacturing process set the Cobra Sport exhausts apart from the competition. Keep an eye on Cobra Sport social media channels in the coming weeks for full development updates!